Every fall, those of us that live in Pennsylvania get to experience the beauty of nature, as the trees begin to change colors. The winter season is often thought of as a time of rest for the plant life that surrounds us. While it is true there is an aspect of rest, most plants are actively preparing for the spring which will come. Root systems continue to grow, leaves drop to conserve moisture and nutrients, and the beginnings of the buds which will become visible in the spring are already starting to form. This reminds me a lot of our camp ministry. People often think of winter as a time of rest. But the reality is that there are groups here at camp almost every week of the year. Winter schedules seem to focus on weekend rather than week day activities, but we will see as many people during the school year as over the summer. In addition, we are actively at work preparing for the next summer’s program. November, December, January, and February are months when we normally are busy working on projects that improve the facilities, and therefore, the camper’s experience here at Greenview. This year is no exception. Our list of projects for this year includes many upgrades to Cedar Lodge, the most used building here at camp. Our wish list for this facility included the following: replacing a failing roof, enclosing the main porch to create a lobby, insulating and siding the original exterior cement block walls, replacing windows and adding a new ceiling and lights in the kitchen. We were very surprised when a local contractor approached us this fall with the offer to provide the labor for most of these projects at no cost to the camp. We are responsible for the cost of some supplies, but as we began to share the project with vendors, some of them offered to provide materials at reduced cost to help us complete these projects. Our goal is to complete everything on this list by January 1st, 2019. Our challenge is to raise $30,000 by the years end to pay for all the materials. I am writing to ask if you would consider praying about this need and asking the Lord whether you should have a part in helping provide the supplies or volunteering labor for other projects at camp. We have been blessed by many people through the years who helped with other improvements here at Greenview. Twenty years ago, groups from two different churches replaced most of the roofs on buildings here at camp. Fifteen years ago, a group of nine businessmen funded the purchase of a new tractor for the camp. Since we have owned that tractor, literally thousands of kids have been able to enjoy a wagon ride at summer camp or a hay ride in the fall. Ten years ago, we were able to access a beautiful new facility, the Sensenig Activity Center, which was built and is being paid for by a yearly fundraiser made possible through the work of many volunteers. Five years ago, a group of partners provided for a new barrel train complete with a tractor to pull it. This past year, a volunteer installed air conditioning in Cedar Lodge making everyone’s dining experience during the summer more comfortable. All these projects were not an end in themselves but rather a means to an end. They have enabled us to be more effective in our efforts to reach out to a lost world with the Gospel of Christ. Lives are changed because the Spirit of God speaks to people at Greenview. I know we are where we are because of the blessing of the Lord. But I also know he has used his people to bless us. Would you consider joining the team that will make this next great step possible. We would be glad to talk with you about opportunities for involvement. Camp schedules and registration information for the summer of 2019 are now published on our website. Join us for our Fall Family Fun Night at Greenview from 5:30 – 7:30 on Sunday evening November 18th. Activities include hay rides, a bon fire games and snacks. We have scheduled a winter retreat for grades 8-12 on February 15th -17th 2019. Join us for our fall work day on Saturday November 17th starting at 8:00 am. Our primary focus will be cutting up and splitting trees downed by recent storms, installing fencing on the farm property, adding a few new electrical outlets, and the normal transitional things we go through every fall as things are put inside for the winter. The number of possible jobs is too large to list here. Let us know your skills and we can find a place for you. Contact Steve at (717) 413-8693 or Jon at (717) 413-2816. Access to minds and hearts open to the Word of God! Effectiveness in reaching lives with the Gospel! Needed volunteers for the work of ministry. How often are we stunned when the Lord does the unexpected? It is not surprising that a man who possesses a finite mind cannot fully comprehend the actions of an infinite God. Even though Christ told them he would be crucified and rise on the third day, they were amazed when he did what he had promised. The Lord continues to amaze his people. Twelve years ago, what is now the Sensenig Activity Center was probably a bit of a dream but today it is reality. 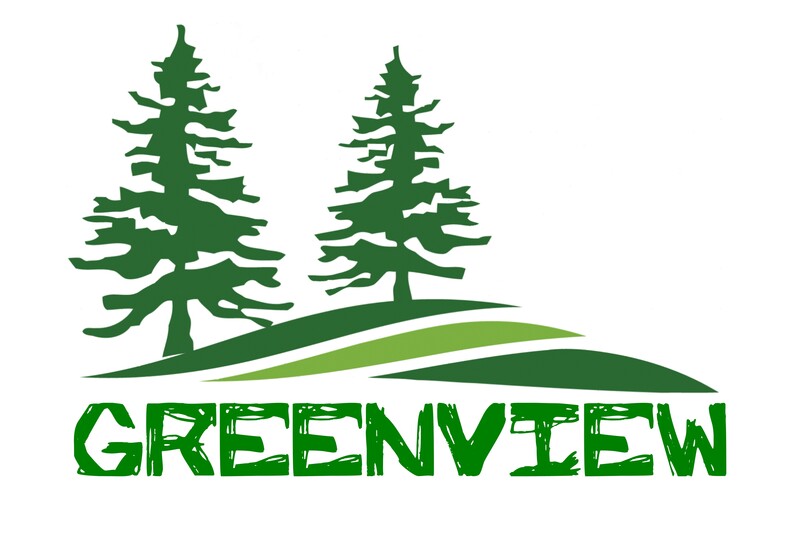 For many years we have talked about expanding the physical footprint of Greenview. We were landlocked with only three adjacent parcels that were of interest to the camp. Two were to our south, each parcel was less than two acres. One would provide buffer space next to Cedar Lodge and the other a possible dedicated entrance to the camp. The third was to our north. This parcel was a 64-acre farm, complete with 14 acres of woods and 10 acres of pasture. While this parcel was the most desirable, it was also the least likely option. The farm had been in the same family for over 200 years and was not expected to be sold. If it ever was sold the cost would probably be more than the ministry could handle. But the Lord is still surprising his people who sometimes lack the faith to believe what He has told us He would do! In January of this year we noticed a sign was posted that said the farm would be sold at public auction in March. On March 16th, I stood in the field praying as the auctioneer coaxed bids out of interested parties. When the final gavel sounded friends of the ministry had submitted the winning bid and we were on our way to access what six months earlier would have seemed impossible. Why do we need the farm? For many years we could grow the impact of our ministry by adding more cabins, more weeks of camp or more weekend retreats. However, we have reached a point where most weekends and summer camp sessions were filled. Last summer we turned children away from several day camps because we were full. In the past year we have had to turn retreat groups away because we were booked almost every weekend. The only way to grow our ministry is to be able to handle larger groups, which will require more space and more activities. More space will allow us to create additional activity stations. Additional activity stations mean we can accommodate 30 to 45 more campers each week. More space will also allow us to move existing activities, so their current locations can be used for the construction of new facilities. After several months of considering the best way to structure a deal that would allow us access to the land, we have settled the following: the land will be sold to local farmers, interested in farming the land. Greenview will receive a 99-year lease that allows us access to the 14 acres of woods and about 7 acres of pasture we initially wanted. This will allow us the access we wanted, without unnecessary financial investment and will allow us to remain focused on our ministry. Between now and June 1st, we need to raise money to cover transition costs and necessary improvements such as fencing and gates. Would you consider a gift at this time? Between now and August 19th we need to do all we can to make this year’s Family Day and Floyd Sensenig Ride the most successful ever. This dedicated fundraiser allowed us to build the Sensenig Activity Center and will continue to allow for facility and land expansion such as this access to this land and future construction of a chapel. Would you consider becoming a sponsor, donating to the auction, or volunteering the day of the event? Moving forward we will need more volunteers and more ministry partners to help us continue to be effective in reaching others for Christ. Some of the things we do have changed through the years but the Gospel we preach remains the same. Please pray about these needs! Opportunities and funding help make us busy, but prayer makes us effective. Donate to the ministry. You can put a check in the mail, donate online at our website, or we can automatically debit your account or card monthly. Volunteer to help at this summer’s Family Day Event or during camp. Praise God for this opportunity for growth. To God be the glory, great things He has done! The start of our 2017 summer camp season is about two months away. Before we know it, campers will be onsite, moving from activity to activity, having fun and learning about our Savior. This summer, we expect to impact over five hundred young people with the Gospel of Christ. There is much preparation we want to do, even need to do, before they arrive. Yet our years in service at Greenview have taught me that the phrase “ready or not here we come” applies to summer camping ministry. Finish recruiting and processing the necessary summer staff and volunteers needed to maintain the grounds, supervise the activities, prepare the food and shepherd the campers through eight sessions of camp. Finalize Bible lesson plans and create the accompanying song sheets, banners and posters. Prepare the grounds, cabins and other facilities that we will use in ministry this summer. Stock up on supplies such as food, disposable paper goods and cleaning supplies. Raise the funds necessary to pay for all that we do. The number and size of the tasks that need to be done would overwhelm Donna, Jon and me. I say would because history has shown us that God has usually motivated His people to give of their time, talents and resources to assist us in these tasks. I am writing at this time to ask for your help this year. On the back page of this newsletter, you will find a list of volunteer opportunities, a partial list of projects to be completed and a list of funding we need to raise to help our summer ministry be effective in impacting youth and families for Christ. Would you prayerfully consider if the Lord would have you play a part on His ministry team at Greenview this summer? Minds and hearts open to the Word of God! Safety for those involved in all our activities. Needed volunteers to prepare for the summer. Needed staff and volunteers for the summer. And finally, our strength and health. Would you consider a gift of your time during camp? We can usually use extra hands in the kitchen. We especially need help on the following days: lunches from 10:30 – 1:30 on June 23rd and 30th, July 7th, July 10-14 and 24th – 28th. Also, we could use help with cookouts from 4:00 – 7:00 on Thursday July 6th and 13th, and Friday July 14th and Aug 4th. We can use Jr. and Sr. Cabin Counselors for the weeks of June 26th. July 3rd, July 10th and July 31st. We can also use people in support roles, such as caring for the facilities and grounds. Tasks include, but are not limited to weeding, mulching, weed eating and janitorial help. There is a lot of cleaning to do every Friday night or Saturday as we change groups from one week to the next. Construction of a 35 x 28 pavilion at the riding ring. Interior painting in the cabins in Glory Hall. Exterior painting of doors and door frames. Installation of a sidewalk between the Cedar Lodge and the Sensenig Activity Center. Carpentry for trim and molding repair and window replacement. Every year there are young people who cannot come to camp unless we find financial assistance. Full price for a week of day camp is $110. Full price for a week of elementary overnight camp is $210 and full price for a week of middle school overnight camp is $225. Most campers can pay some towards their total. Every year we need to replace some of our athletic equipment, arrows for archery and paddles for canoes. This usually amounts to about $300 per season. Water sports are always a favorite when the weather gets hot. This year we want to build a waterslide that would stay up for the season. Materials necessary to build the slide will cost about $500. After serving us faithfully for five years, our pool needs a new liner and filter. Replacement of both before camp will cost around $750. Finally, we would like to buy a pond aerator to help with algae growth and promote conditions which encourage a healthy fish population. This would cost about $1,800. You may know that as our children were in middle school and high school I spent several years in various capacities helping with athletics at Lancaster County Christian School. It was in that capacity that I came across the following statement. “You don’t measure coaches by their wins, you measure them by the lives their players live when the game is over.” While I believe this is true in athletics, I also believe there is a parallel to youth ministry. It would go something like this. “You don’t measure Christian youth workers by the number young people who have made a verbal commitment to Christ, you measure them by the lives those they minster to live after that initial profession.” “How any campers made a profession of faith?” is an easy question to ask. But the easy answer can often be misleading. During my years in camping ministry I have seen the same campers make a profession of faith several years in a row, other campers who make the profession but whose lives show no fruit, and then some whose profession is just the beginning of a life changing journey with Christ. The command in the Great Commission is to “make disciples”. In fact, it is the only imperative tense verb in the original language. The other words that in English appear to be verbs are describing when we are to be making disciples. A more literal translation might be while you are going, make disciples. While you are teaching, make disciples. While you are baptizing, make disciples. Disciple making is a process not an event. That process often includes input from many sources. We see this in 1st Corinthians 3:6 where Paul says, “I planted, Apollos watered, but God gave the growth. “In an ideal situation the staff at camp would be co laborers with the family and local church in discipling young believers. Unfortunately, not every child who comes to camp has that well rounded support group. We appreciate those who help stand in the gap by providing input into children’s lives through programs like Release Time and other youth ministries. We appreciate those of you who sponsor our ministry, or more specifically sponsor a child for a week at camp who otherwise would not be able to attend. One of the advantages of being in this ministry for more than twenty years is you see the adults that campers grow up to be. For most that childlike faith that was born or nourished during their time at camp has blossomed into a tree that produces a variety of good fruit. Our world needs more people like this. Paul reminds us it is God who gives the growth. That said, prayer is one of our most effective weapons in the fight for the hearts and minds of young people. Join us as we pray to the Lord of the harvest for fruit from our labor here at Greenview. Campers can now register online for camps this summer. Last year, several camps filled so we would encourage you to register early. Have a child that is not sure about attending camp. Join us Sunday April 29th for our Spring Celebration. Camp will be open to the public from 1:00 – 4:00 for potential campers to experience a variety of the summer camp activities. Would you like to help a child attend camp next summer? Every year we have children that need financial help to attend camp. In the past few years, ministry partners have made it possible for children whose families faced a financial crisis to attend camp. Campership money has benefited families dealing with severe medical issues, as well as children currently staying with mom in a shelter because of abuse in the home. You can donate online to help send a child to camp. Go to our home page, scroll down to announcements, and click the link under the campership program. Anyone involved in a camping ministry understands what Jesus said to the disciples in Luke 10:2. “The harvest is plentiful, but the laborers are few. Therefore, pray earnestly to the Lord of the harvest to send out laborers into his harvest”. We are constantly looking for believers to invest their time into ministry here at camp. That involvement can run the gamut from full time service to a few hours. Please pray for our staff needs. We currently are looking for volunteers to help complete several projects here at camp, for both volunteers and employees for the summer ministries and for donors to help fund full time staff. For information on projects contact Steve. For information on summer staff opportunities check our website or email Jon. On January 1st Jon began his second year of full-time ministry here at camp. During the first year he has been working on raising support. Although the original support came from individuals he was recently accepted as a missionary by his first local church. We are grateful for several one-time gifts that have helped meet the need in his first year but are looking for more individuals and churches willing to commit to monthly giving to help meet the ongoing need. Mark your calendar and plan on joining us on Thursday March 15th at 6:30 for our annual banquet in the Sensenig Activity Center. Last summer we had a professionally made video to use in promoting the camp. Come and see this video as well as hear from our team about how the ministry at camp is impacting young people for Christ. There is no charge, but an offering will be taken. 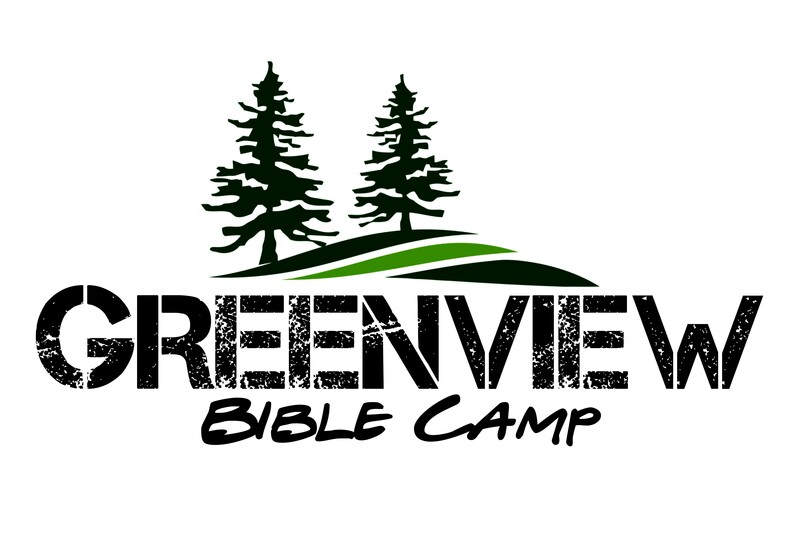 To make reservations please email your name and the number in your party to info@greenviewbiblecamp.org. Each table seats eight so why not try and fill a table?